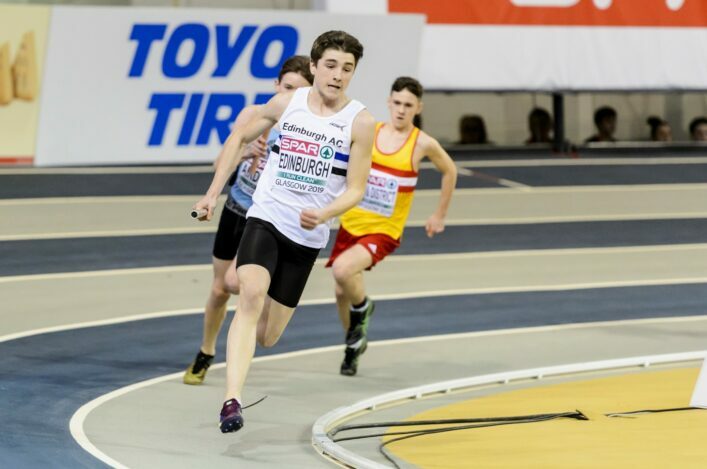 Three young Scots have been named by British Athletics to compete for GB and NI U20s in the Loughborough International. Middle distance runner Mhairi Hendry (VP-Glasgow), hurdler Jack Lawrie (Pitreavie AAC) and sprinter Kelsey Stewart (Aberdeen AAC) have been included for Sunday’s match at the Paula Radcliffe stadium. 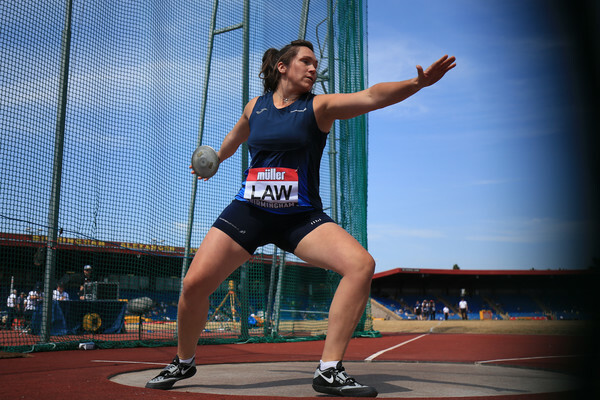 It means they will compete against Scotland wearing GB vests in the traditional early-season meeting which features four other teams – England, Wales, British Unis and hosts Loughborough University. 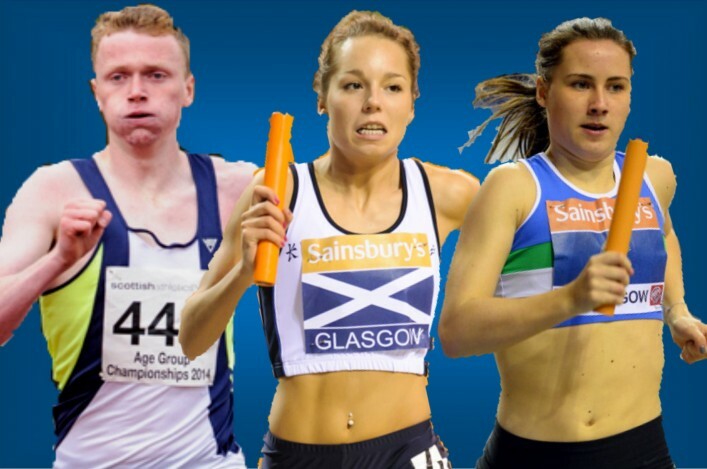 Lawrie is picked for the 400m Hurdles, Kelsey is named in the GB 4 x 400m relay pool while Hendry, who set a Scottish indoor 800m record at U20 in 2015, is the selection for the two-lap race where Scotland’s pick is Emily Dudgeon. Mhairi in fact is leading the European U20 rankings in the 800m event and her 2.05.59 run for a silver medal at BUCS – as Jess Judd took gold – was inside the qualifying standards for GB for the Euro U20s. The three athletes are all members of the National Academy set-up by scottishathletics originally as a Youth Academy and recently extended. It is further understood a couple of other Scottish athletes were extremely close to the GB U20 selection for Loughborough. It transpires Lawrie’s selection was a nice birthday present for his coach, John MacDonald, who turned 88 on Monday. 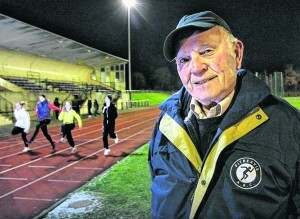 His daughter, Linsey, of course won Olympic and Commonwealth bronze medals more than 30 years ago with GB and Scotland and John remains a highly-active coach at Pitreavie AAC and won a Sunday Mail Scottish Sports Award a couple of year ago in the Local Hero category. 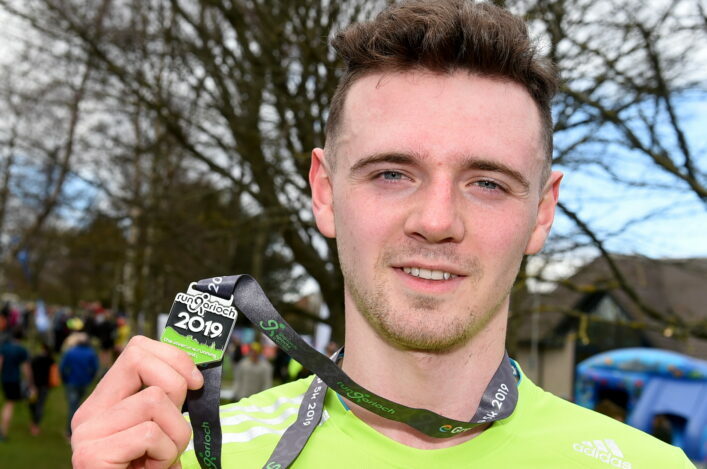 ‘Jack heard about his selection on Monday from British Athletics and we discussed it at training and everyone is delighted for him,’ said John. ‘It also happened to be my 88th birthday! ‘I’ve coached him for a number of years now, more than five I think, and he is a great lad who works very hard at his athletics. ‘Jack is working now doing 12-hour shifts as part of an apprenticeship and sometimes he has to do those shifts back to back. I thought it might affect him over the past year or so but it hasn’t. ‘Credit to him, he is still improving and getting quicker so we were hopeful of the GB vest because of the rankings. We do a tough circuits session on a Monday and hills in a public park in Dunfermline on a Tuesday – as well as a lot of track sessions. John won’t be in Loughborough this weekend but he is bound for Bedford with Jack for the England Athletics U20s in June and his own dedication to coaching burns as brightly as when helping Linsey’s own career which saw those medals won in Moscow in 1980 and Brisbane in 1982. 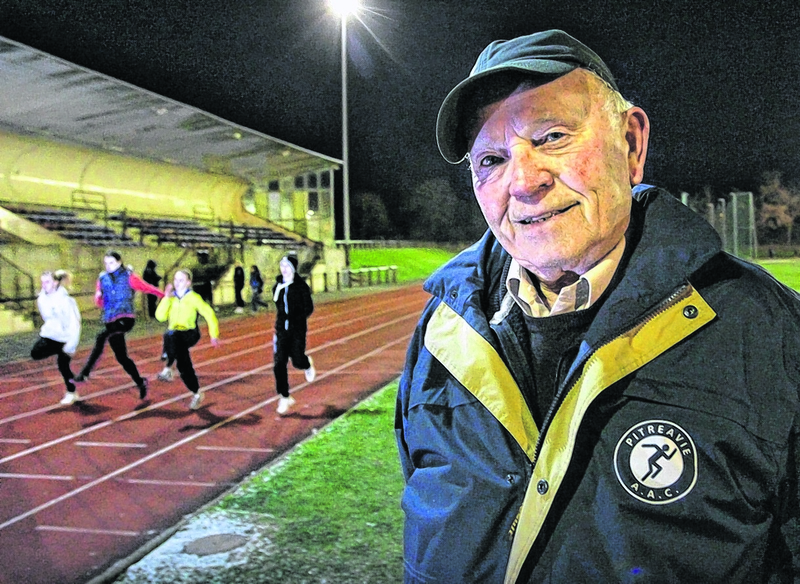 Joyce and Ken Hogg guide Kelsey Stewart’s athletics in a similar way in Aberdeen while Andy Young, who has made such an impact with Laura Muir, coaches Mhairi Hendry in Glasgow. Local heroes, for certain, and we feel sure they and other coaches will relate fully to John MacDonald’s contribution to Jack Lawrie’s on-going journey . . .